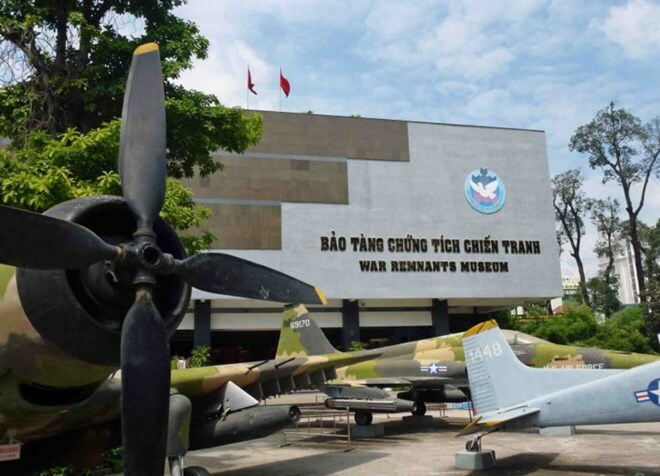 Users of US travel site TripAdvisor have voted the War Remnants Museum in Ho Chi Minh City among the world’s top 10 museums. Founded in 1975, the museum, located on No 28 Vo Van Tan Street in Ward 6, District 3, is a must-see destination in Vietnam for anyone who wants an insight into the nation’s history. It preserves more than 20,000 artifacts, films and documents, with most its exhibits related to the Vietnam War and the first Indochina War involving French colonialists. The museum is estimated to serve 500,000 visitors per year. Musee d'Orsay in Paris tops the list of the world’s top 25 museums listed in the 2018 TripAdvisor Travelers’ Choice Award, followed by the National 9/11 Memorial & Museum and the Metropolitan Museum of Art in New York, the US, the British Museum in London, the UK, and Prado National Museum in Madrid, Spain. The War Remnants Museum is at 10th place on the list, but leads Asia. The Tuol Sleng Genocide Museum in Phnom Penh, Cambodia and Museum of Qin Terra-cotta Warriors and Horses in Xi'an, China are ranked 2nd and 3rd in the continent. Also presented in the list are the Vietnamese Women’s Museum and Vietnam Museum of Ethnology in Hanoi, and the Robert Taylor Museum of Worldwide Arms in the southern province of Vung Tau, at the 7th, 10th and 16th place in Asia, respectively.